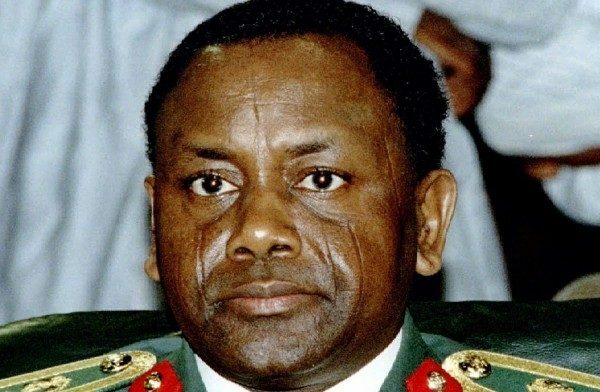 $500 million recovered from the slush accounts of Sani Abacha in foreign countries during the Goodluck Jonathan administration has disappeared, The Nation reports. The money was reportedly released to the Nigerian government after negotiations with foreign governments, the agreements including that the Nigerian government would employ the recovered funds in developments, including infrastructure such as roads, water, healthcare and education. The Economic and Financial Crimes Commission (EFCC) has reportedly found that $500 million out of the recovered funds cannot be accounted for. Of the $500 million, the sum of $250 million has reportedly been discovered by the EFCC to have been released to the Office of National Security Adviser (NSA) while Sambo Dasuki headed the office. The fact sheet of the investigation, as seen by The Nation, reveals that the $250 million was withdrawn between March 2, 2015 and April 21, 2015. $36,155,000 was reportedly found to be withdrawn “without any purpose” on March 2, 9, 16 and 18, 2015. The fact sheet also revealed that the office of the NSA, in a memo dated January 12, 2015, requested that the former Coordinating Minister for the Economy and Minister of Finance, Ngozi Okonjo-Iweala, remit the sums of $300 million and £5.5 million. Bank Address: 28, Finsbury Circus, London. Please accept the assurances of my highest esteem,” the fact sheet read. In a memo dated January, 20, 2015, the former coordinating minister for the economy, Okonjo-Iweala, wrote to the President asking for the approval of the remitting of the sum of $300 million to the office of the NSA, the fact sheet read. Attached, please find a request by the NSA for the transfer of $300m and British pounds (£5.5m) of the recovered Abacha funds to ONSA operations account. The NSA has explained that this is to enable purchase of ammunition, security and other intelligence equipment for the security agencies in order to enable them confront the ongoing Boko Haram threat. 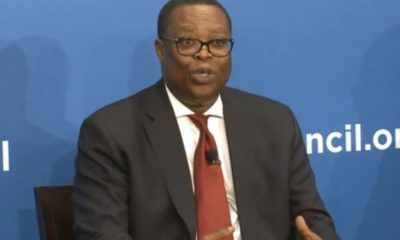 His request is sequel to the meeting you chaired with the committee on use of recovered funds where decision was made that recovered Abacha funds would be split 50-50 between urgent security needs to confront Boko Haram and development needs (including a portion for the Future Generations window of Sovereign Wealth Fund). This letter is to seek your approval to borrow these funds, for now, to disburse to the NSA. These funds form part of projected FG Independent Revenue to be appropriated. In light of this and for accountability, given the peculiar nature of security and intelligence transactions, we would expect the NSA to account to your Excellency for the utilisation of the funds. However, it has reportedly been discovered by the EFCC that only $250 million of the $300 million requested by the office of the NSA was remitted. We will need to interact with the former Minister of Finance, Okonjo-Iweala, to guide us on the contents of her letter, especially on the legality of the withdrawal of the $250million. We will find out what she meant by to ‘borrow these funds’ and these ‘funds form part of projected FG Independent Revenue to be appropriated.’ She should assist investigators on whether or not the ex-NSA accounted to Jonathan for the ‘utilization of the funds. But I predicted this back then sha. I don’t believe this crap news. The suddenly just discovered that $500 million is missing? . So this is the best distraction the cabal can come up with at the moment? Well done. Continue wailing for every time we demand good governance. Okonjo Iweala the most useless harvard graduate!!! i NO LIKE THAT WOMAN RARA… BE DECEIVING OYIBO UPANDAN!!! SMH… YOU ARE A DISGRACE…. NO REGIME LOOTED MORE THAN THE ONE YOU SERVED IN YET WHAT DID YOU DO???? YOU STOLE WITH THEM!! ANURFIA SHORT RAT!!! God will kill them one after the other…that’s the same money they will use while rushing to Germany, India and America to treat their cancer-stricken body! Kontinu! Please don’t we have able and intelligent men in this country to form a alliance for revolutuon? How? How can ‘lives’ changing funds go missing for crying out loud and it’s BAU. I’m worried that someone is bold enough to think and then execute the act. Watch him/ her go scott free. Jeez …pisshole of a country. And we rally over racist comments? Are you people going to fall for this APC propaganda? All the Buhari-led government has done since they were elected into office is to lay all the blame on the previous government. All the revenue Nigeria has been making since they came into power, including the ones discovered via whistle-blowing, what has happened to them? We can multitask. Nothing wrong in addressing the failures of the Buhari-led government while also investigating matters of missing funds. At the end of the day, whether APC or PDP, it is the masses that lose. So we could care less right now who is at the receiving end of the witch-hunt. All of them should be accountable. Nigerians deserve better! Distraction tactics. Okay,we have something to talk about but we will still go and get out PVCs for those of us who doesn’t have or who are yet to transfer to their current states of residence. 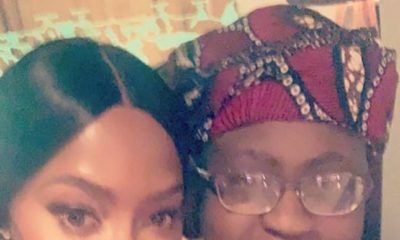 No update on Buhari’s son and his friend?